Chestnut Valley Control Systems is a leader in unique engineering design and advanced control systems. We are thrilled to be celebrating our 10th year in business and to have such a great reputation for staying in tune with the technology that matters most for our clients. Our proven engineering expertise allows us to create cost-effective, high-quality integrated systems. A well-designed automated system is one that is created with cutting-edge technology and maximizes your investment. Thanks to our unmatched engineering design services, every advanced automation package we offer includes the essential machine controls and components necessary for success. 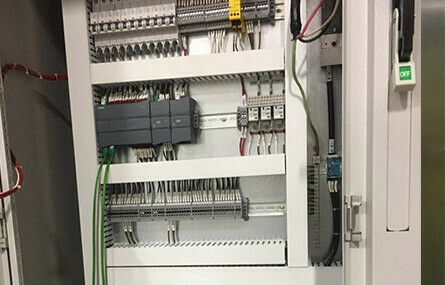 Chestnut Valley Control Systems can offer complete design, installation, set-up, and management of any automated control systems, at your location anywhere in the United States and throughout the world. Our engineering design services ensure custom PLC and HMI software development to provide everything to exceed your production goals. 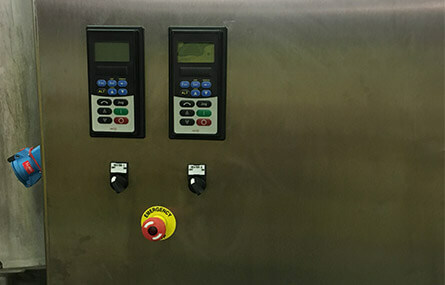 Whether we are designing a system from scratch, building on what you already have, or updating an existing control system to better meet your production demands, you will receive results that are tailored to your specific requests and specifications. Our Lancaster, PA control systems engineers have over 30 years of expeirence and are ready to help you get started on your next project! Simply put, we are a team of problem solvers. We have accumulated the resources and mastered the skills it takes to apply key innovations. By putting our customers’ needs first, we can optimize your essential processes and boost your overall operational efficiency. We will customize an advanced control system that is right for your current and future needs. If consistent quality matters to you, Chestnut Valley Control Systems is the clear choice for your automation system integration needs. In 2007 our dedicated system integrators served mainly in Lancaster, Harrisburg, and York Counties with dependable, professional, and efficient solutions. Since then, we have grown to serve our customers throughout the United states and the world. Coming in the Fall of 2017 we will be expanding to serve the San Diego, Orange County , Santa Ana, Los Angeles, and SoCal areas. Contact us today to learn more or schedule a consultation!